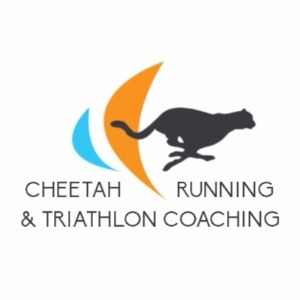 Cheetah specializes in coaching for running and triathlon at all distances. We offer a variety of coaching packages and can work with runners and triathletes of all ability levels. Whether you're running your first half, trying to qualify for Boston or Kona, or are enjoying a new hobby, Cheetah's coaching services can help you achieve your goals! Hi, I'm Nick Morrison - head coach of Cheetah Running & Triathlon Coaching. I started coaching because I love the sport and wanted to make it a significant part of my life and help my athletes. I have coached over 40 athletes (runners and triathletes) of all ages and ability levels and both men and women. I have coached athletes to help them complete their first half marathon, marathon, half Ironman, and Ironman. I have also coached athletes to podium finishes in their age groups, set new PRs, and qualify for Boston. Whatever your goals are, I would love to help you achieve them! I have multiple coaching and personal training certifications including USA Triathlon Level 1 Coaching, Road Runners Club of America Running Coaching, and NCCPT personal training. On top of my coaching, I am also an active age group athlete myself. I have raced triathlons of all distances including multiple Ironman finishes. I have also raced numerous marathons including Boston and Chicago, and even was a pace group leader at the Denver Rock n Roll Marathon in 2014. I work with athletes of all ages and ability levels and both men and women. Success. Coach Nick Morrison has been notified of your message.